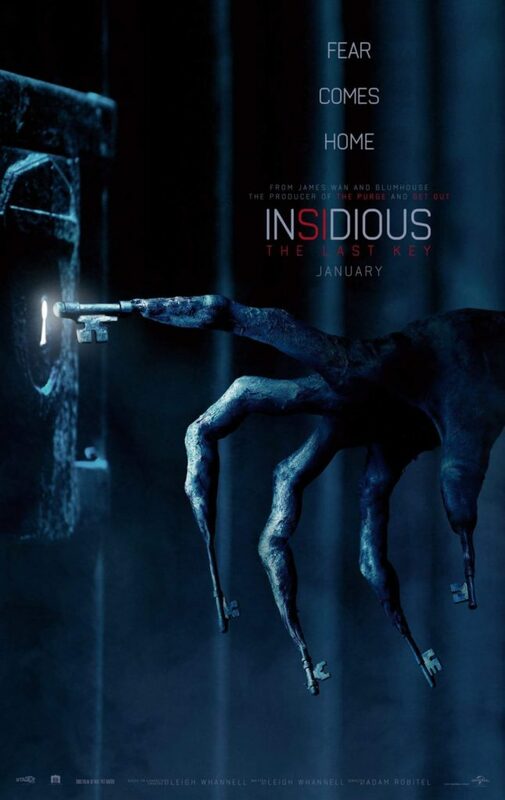 – Somehow the fourth film in the Insidious franchise. After the first two movies, and a prequel (still called 3), comes hopefully the last film in the franchise. To be extra confusing, part 4 is a sequel to part 3 but is a prequel to 1 and 2. This movie continues the story about Elise before the first movie and goes through her childhood when she liberated the demon Key Face. Again, despite the title, the movie has very little to do with the original two movies. – Stars Lin Shaye, Ava Kolker, Hana Hayes, Angus Sampson, Leigh Whannell, Josh Stewart, Spencer Locke, Caitlin Gerard, Kirk Acevedo, Bruce Davison, Pierce Pope, Thomas Robie, Tessa Ferrer, Javier Botet, Joseph Bishara, Ty Simpkins, Rose Byrne, and Patrick Wilson. Directed by Adam Robitel. Rated PG-13.